Bi Feiyu, one of China’s leading authors, urged Hong Kong residents to take the lead in preserving the city’s culture during an interview with SCMP. Bi said he’d observed “subtle changes” in Hong Kong that he believes will affect the quality of the city and the people within it over time, adding that while good habits can take hundred of years to develop, they can be lost in an instant. “Unlike my previous stay in 2009, people here no longer say ‘excuse me’ or ‘I’m sorry’ when there is bodily contact as they used to. I did a small test on the MTR with my shoulder at one point, but the contacted party did not respond,” said Bi, who is spending a month in the city as writer-in-residence at Baptist University. “Good habits take hundreds of years to develop, but losing them could happen very quickly. Hong Kong people should be proud of their culture and etiquette. Safeguard it and don’t let it fade away,” he said, acknowledging the effect that Hong Kong’s colonial past had had in shaping the territory. Bi is a writer from Nanjing who’s known for his open discussion of sensitive social issues, such as the treatment of disabled people. 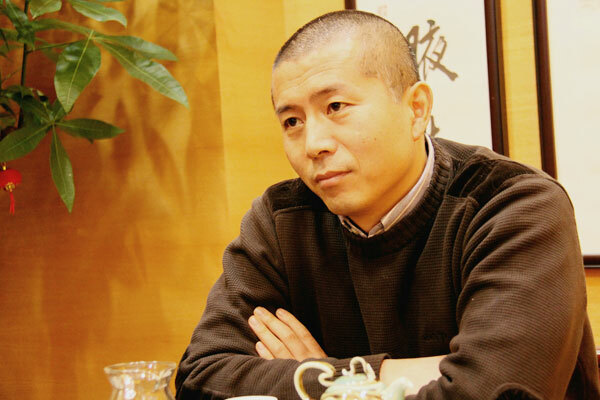 His works are also praised for their portrayal of the “female psyche”, and one of his best-known novels, Three Sisters won the 2010 Man Asian Literary Prize. While talking with the Post, Bi also stressed the importance of hygiene and cleanliness in culture, and called for Hongkongers to “be more tolerant towards the mainland people, who, for their part, should enhance their code of conduct”. Bi’s comments edge in nicely to the current riff between mainlanders and Hong Kong residents that began when a family from the mainland allowed their child to pee on the Streets of Hong Kong, eventually leading to a couple of unfortunate protests in the form of bodily functions.